How would you rate your experience with Sam's Club ? Sam’s Club, founded in 1983, is a membership only, warehouse type store that is owned and operated by Walmart. The company is the 8th largest retailer in the US and is second in sales volume among warehouse/club type stores. It is second place only to Costco, even though it has more retail locations than Costco. The company has stores in 47 states, with Long Island, Vermont, and Oregon being the exceptions. 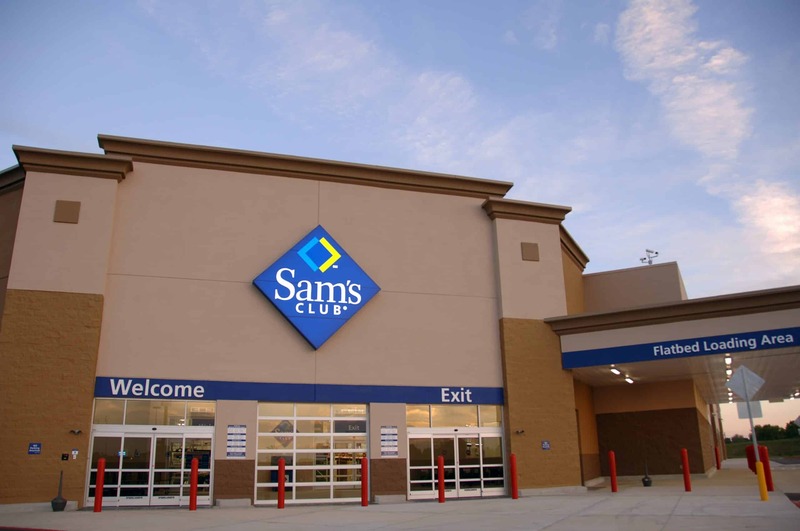 There are also Sam’s Clubs in Mexico, Brazil, and China. Very much like Costco and the other warehouse stores, Sam’s Club mainly sells directly out of cartons or off pallets. Items are sold in bulk or multiple items will be taped together and sold at a discount. 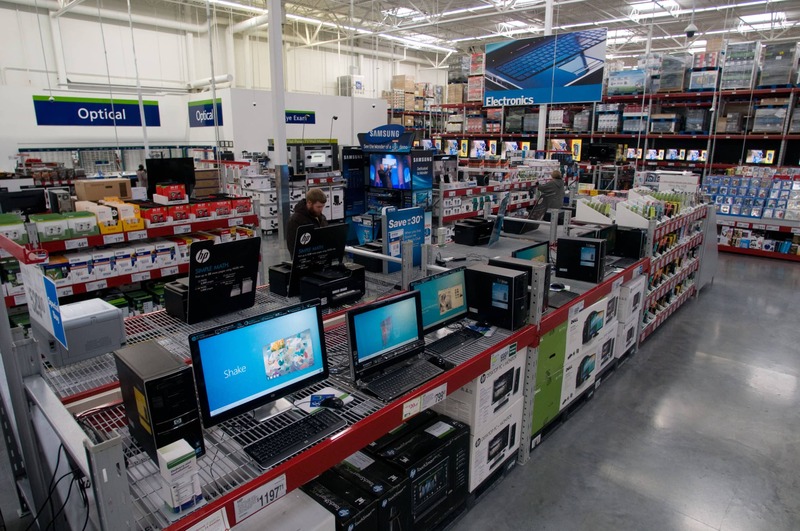 To buy at Sam’s Club, customers must purchase a yearly membership. Sam’s Club began offering a Mastercard credit card in 2014, which can be used where ever Mastercard is accepted. The company has struggled against their competitor, Costco, and has laid off employees from underperforming stores from time to time. In 2017, Sam’s Club reported annual revenue of $57 billion. In January 2018, Walmart abruptly closed 63 Sam’s Club locations, putting approximately 11,000 people out of work. The following month, the company rolled out fewer membership choices and offered free shipping on almost everything they sell online. Question 1: What is the phone number for Sam's Club? Answer 1: The phone number for Sam's Club is (479) 621-5537. Question 2: Who is the CEO of Sam's Club? Answer 2: The CEO of Sam's Club is John Furner. Question 3: Who founded Sam's Club? 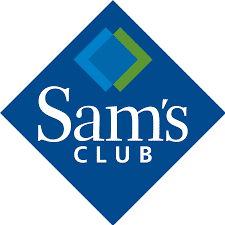 Answer 3: Sam's Club was founded by Sam Walton in 1983. 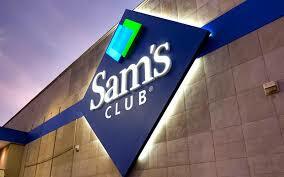 With my membership I shop at the Champaign Illinois Sam’s Club. Recently the store ran out of the Members Mark Flame Roasted Smoked Salmon . I buy many packaged, 8 or so, at the beginning of each month because I’m retired military and get paid at the beginning of each month. I questioned the store management about when the salmon product would be on the shelf. Store management informed me that Corporate had taken away the store ability to order any seafood or poultry products. Now ONLY CORPORATE WILL ORDER SEAFOOD AND POULTRY PRODUCTS FOR STORES. And that I should contact corporate about those specific items. these employees as to why the shelves are empty and to speak with anyone in purchasing or marketing or policy decisions. I’m denied and I have been hung up on. SO SOMEONE IS LYING AND I AM CERTAIN ITS CORPORATE. This whole matter needs to be corrected and shelved restocked. Otherwise members like myself will start a campaign to get Cosco or BJs into Champaign/Urbana Illinois to provide members with better service than we are getting currently. Sam’s Club recently changed their membership options. The no longer have the basic Business membership which allows for early hours shopping. This wouldn’t be a big deal except that my local Sam’s Club (Bismarck, ND) doesn’t have very many disabled parking spots and if I go during normal hours it is impossible to find one. The Plus membership, which costs $65 more does allow for early hours shopping, but being in ND most of the other benefits are not available, not to mention with a person is on Disability, budget is an issue. I’ve tried to work with Sam’s Club to allow me to still shop early hours under the basic membership, particularly under the requirements of the American’s with Disabilities Act, but thus far they act as if they are exempt from the Act and really don’t care about the customers. I’ve been at this for about 6 weeks, and my membership expires in 2 days. I sure wish Costco would open a location here in Bismarck – people around here do want one as they are as disappointed with Sam’s Club as I am. They won’t even let you contact the Executive Offices! It is sad….in terms of size, this Sam’s Club is very small compared to others, and for the population/demographics of the area. I wonder who taught Sam’s Club how to NOT provide customer service. went to the Sam’s club in Marietta, Ga on sat 03-09-2019 for contour next test strips that I saw in the store for $9.86 but at the time the store was closing and my card had decline so Decided to come back on 03-12-2019 to purchase the contour next test strip they were 63.00 dollars, the pharmacist refused to sale them to me for 9.86, I felt like I was a dishonored customer in a neighborhood store that I shop at on a regular. Did you ever get an email for Sam’s Club Executive offices? I need someone from management to do something about this. We purchased gift cards to mail out to our clients with Christmas cards. Not a one of these Starbucks gift cards was charged for use and it caused an extreme embarrassment for us when we started getting the calls in December from our customers. I have stopped in to Sam’s and we didn’t even get reimbursed for the charges. Even after I brought one of the cards back in to show them that it was empty and was never activated. The customer service representative at your help desk copied all of my information and I left her my cell phone number to have someone correct this problem. I was ensured that someone would contact me, but it’s been over a month now and I have received no assistance. I would like to have something done to resolve this matter and in a timely manner! Sam’s is frequently out of products that are a staple. Customers are staying away compared to what Sam’s used to do. I have had very bad experiences with Sam’s over the last year. I ordered a Harvey Power Recline 3-piece furniture set (sofa, loveseat, and recliner) at a very good price and paid for it fully. Sam’s Club scheduled the delivery so we removed our furniture before the “new” furniture arrived. Luckily the delivery man had some morals and asked me to check the furniture before he removed it from the truck because the packaging looked damaged. 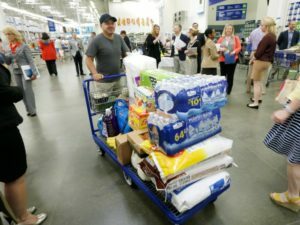 He said that he informed the warehouse staff of the damage when he picked it up, but he was told to try to deliver it anyway. It was very damaged so we refused delivery and the truck drove away with the damaged furniture. Having no furniture we assumed that Sam’s Club would simply do the basic customer service minimum and replace what we had ordered, at the same price. Sam’s Club instead told us that the items we ordered were “out of stock” even though they still sold the three pieces (sofa, loveseat, and recliner) separately on their site, just at a higher price. We spent hours being transferred and put on hold, simply trying to get what we had ordered at the same price. Sam’s even tried to act like we had accepted delivery, even after we told them repeatedly that we had refused the delivery. Now I see our living room with no sofa and loveseat and I am very annoyed that Sam’s Club would treat a loyal customer like this. If they cannot fulfill their end of the bargain and provide a similar or superior furniture set at the price we paid for originally, then I am going to shop elsewhere, where I am appreciated. It appears to me that Sam’s Club’s coorporate offices employ the three monkey approach. See no evil,hear no evil and speak no evil. Just let employees run over people. Then ask yourself why you have been paying a membership for 21 years and you will realize it’s time to check out Cosco and BJ’s. It is my understanding that Sam’s is ” owned and operated by Walmart”. However, there seems to be a disconnect on customer service policy between the two. I purchased 4 tires on the Walmart website and had them shipped to the Walmart in Cinnaminson, NJ. This store does not have a tire/auto service, however located on the same property is a Sam’s club. After receiving the tires very timely, I went to Sam’s to have them installed. However, they would not install them since the tires where not purchased through their store. This seems incredulous to me since probably for financial purposes these two stores are consolidated as one entity, and the fact that one entity (Sam’s) does not offer support to the other (Walmart – the Parent company) seems to be a bad policy/attitude and defy common sense. I don’t know if this will make to your desk and can only hope someone in authority acts on this matter before Sam Walton’s goal of superior customer service is further eroded. I am looking for Sam’s choice triple berry vinaigrette salad dressing, does anyone know where I can find it? Lowest sodium dressing I can find that taste great and now it just disappeared from the shelves. Like everything else, it will soon disappear never to be seen at Sam’s Club again. Synchrony Bank appears to be quietly pocketing Sam’s Club members’ cash rewards. Synchrony Bank issues a cash rewards check every February for cardholders’ purchases the previous year. The check itself has a 6 month expiration date, so it expires in August. If that check is not cashed by the August date, the cash back rewards are lost. Synchrony Bank refused to reissue my current year’s check check (see more on this at the end), and also refused to credit my account in the amount of the check. LOSS OF REWARDS. A Cardholder will forfeit all accrued rewards in any of the following circumstances: (i) if two or more consecutive minimum payments on the Cardholder’s Account are not paid when due; (ii) if the Cardholder’s Account is closed for any reason (other than as a result of a lost or stolen card, in which case all accrued rewards will be applied to the replacement card); (iii) if the Cardholder’s Sam’s Club membership lapses or terminates; or (iv) if Cardholder does not make a Purchase for 18 consecutive months. In addition, accrued rewards that are not redeemed will be forfeited 36 months after they were first accrued. As you can see, there is no mention of loss of rewards if the check is not cashed within the allotted time period. In fact 36 months is listed as the length of time in which they can be redeemed. As an aside, I did find something interesting. When I called Synchrony Bank on October 2nd to request a reissued check, I was told that “As of October 1st, Synchrony Bank will not reissue the cash back checks”. In my online search, I found that Synchrony Bank was saying the same as far back as January. I suspect that a call to Synchrony Bank in November would elicit the response that as of November 1st they no longer reissue checks. 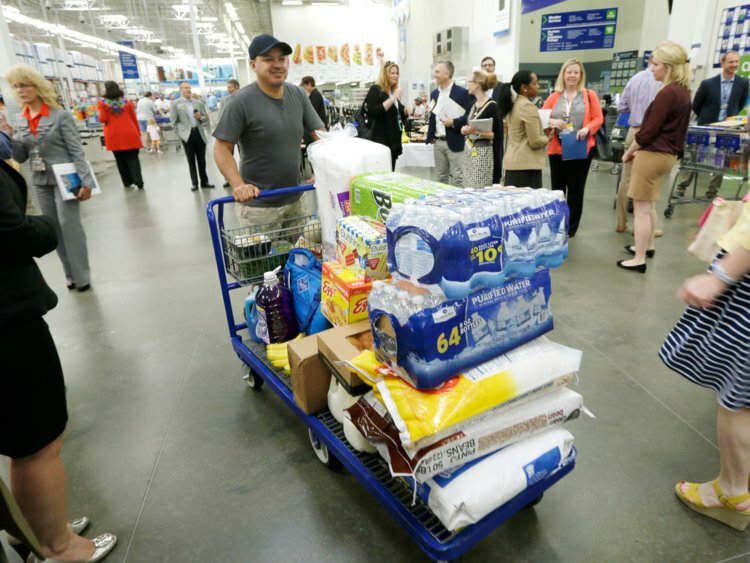 Think of all the cash rewards Sam’s Club cardholders are losing by not having any ability to claim their reward, and imagine how much the bank is pocketing. I just had the same problem .My cash back check expired and I was told that they could not reissue another check. I”m see this has not only happened to me. So looks like Sam”s would do something about it. My check was $310.35 so looks like they are making alot of money. I will be cancelling mine and probably my Sams membership.We spend almost $1500 a month between me and my wife together at Sams and Walmart if not more. Are they incompetent or just stupid at samsclub.com? I ordered for my wife a coffee table set — 4 tables all together, one came in with corner damage that DID NOT come from shipping damage, i.e. box not damaged but was caused by packaging or manufacturing. CSR fought with me to send all four tables again — hopefully that order got canceled, but right now I have my doubts. Now if this were the first samsclub.com delivery issue I had I might be less aggravated; however it is the THIRD one in less that a month. The right hand does not know what the left is doing. If had a viable way to contact Jamie Iannone the Chief Executive Officer at SamsClub.com I would instead of venting here. Anyone have that info please share, it appears he works out of a San Fransico Bay area office. BOTTOM LINE, NEVER EVER LET SAMSCLUB.COM DELIVER ANY ITEM FOR YOU!!! on your 1 day sale, I ordered on line, 2 recliners. both were recived, one was damaged. I contacted sams via chat line. (poor taste) and scheduled pickup. I ordered in 8/9/18. item was picked up by fedex on 8/20/18/. now fedex claims did not receive, and I have not reveived my refund as today 9/17/18 I am compelled to submit this information to you because of experiencing very poor customer service and the inability to resolve an ongoing problem with your organization that I feel I have allowed a reasonable amount of time for a resolution and I seem to be getting the run around. Plus and I spent $482.69. I am very mad and ready to go to Costco. My receipt # 9173 04730 004 2648 or 799523413501120967754. I would hope to here feed back. On 3/18/18 I called for my member refund to be issued by check, I was told it would take 6-8 weeks. I called today 7/13/18 spoke to someone and they apologized for the delay and someone would contact me. Minutes later I received an email they are not issuing checks only gift cards. I called the number in the email and they stated checks are not being issued because people were not receiving them, I then asked when was my check issued and the check number they stated the date to be the date I called and they did not have check number I formation. I told them that is a lie there is no way you issued me a check the same day and I want my money sent to me by check not a gift card because you are forcing people to spend their money in your stores that is not a refund or what your company offered. I will fight this and file a complaint if I need to. Someone from the corporate office should contact me regarding this and I expect to be contacted this week. purchased an item on 6/24 It sat is the order status mode for days had to call so they could move it along. Your warehouse decided not to ship it out until 6/28! No one could tell me what was going on or when it will be shipped. Miguel did not know what he was talking about. Still don’t have my item. Was not able to use it on my trip so we all had to make other plans. I won’t be renewing my Sam’s Plus membership come 7/24. BJ’s is right around the corner and I will drive the 25 minutes to Costco before I ever step foot in your door again. How do you stay in business? Well I won’t be helping you anymore. Thanks for nothing. The automated cashier at Sam’s on Baltimore National Route 40 did not inform the customer (me) that I had to use some type of card and no cash to check out. The only sign saying only a card and no cash was place on the side of the check out machine about a foot off the ground flat and out of sight of the normal person’s stature. The manager apologized while many, many, many other customers were confused as well. No sign was posted in plain view at eye level for customers explaining the process. Trick to make customers use a card. We I learned my lesson, thanks. I wonder if BJ’s and Costco’s are the same? to everyone who do see this, that I have ben having the same issues that you all are going thru, you should go to the BBB office in the HQ office is for sam’s club and get them to deal with this at there end, I have ben trying to get back this amount of money of $110.00 and they have not sent me no check for that amount or a check of $45.00 in june of this year. my mom died back in 2013 and I was paying the account. I live in sacramento ca and our sam’s club closed up in may 2018. Received a email from Sams Club stating that the first time the scan-and-go was used, I would receive a $15.00 credit on my account. I have used the scan function twice and, to date, have received no account credit. Have attempted telephone calls and have been switched to different numbers with no way to speak to anyone about the problem. I personally have been calling Sams Club & .Com & ESP their Delivery Company & although my order was for $2,500. I guess the Delivery Co ESP does NOT seem to care or that it was to be delivered on 6/5 along with other 2 items delivered? I have nicely been attempting to find a ‘Status on Delivery’ with NO luck & a delivery co. that is very ‘Unprofessional’ even when reaching them. They claim they will have an answer for you by the ‘End of the Work Day’ & ‘SURPRISE: NOONE ever calls back! 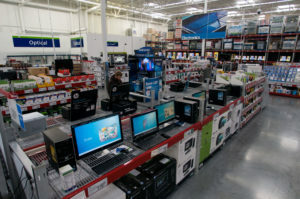 Way to go, Sams Club…I spend alot of $$$ there in a years time & have to DRIVE 2 hrs to get to the closest Sams, but so you know I will be ‘ReThinking that Idea’ & please do NOT wonder WHY your needing to ‘Close Stores’ IF your Customer Service is that BAD & ‘The Customer has to contact you ALL’! PS: You, The Companies have things called ‘JOBS’ to do those things & I am doing it myself except No-one is Paying me a Salary to do so nor should I have too! I am NOT sure IF I am being by-passed by the Delivery Co. due to my ‘Supposed FREE Delivery’, but if you order a product 5/30/18 & Sams Club states it ARRIVES 6/5/18 silly me I kind of EXPECT it around then? What a JOKE your delivery company is…Here’s an IDEA for Sams Club…Find another Delivery Company before you too are ‘Out of Business’. Only thing we have been told is that we are in ‘Rural PA’ although we live 2 Minutes away from our local Walmart & right off the main highway? So I must tell you, I really do see ‘Delivery Trucks Daily’ here in ‘Rural PA’ & I guess ‘Out in the Stixs’! Signed a Long-Time Customer who IS very disappointed in you ALL & I guess will be TRYING to CANC this Order & can’t imagine how that will go via you Companies since your obviously NOT Interested in selling products to make money? I can’t imagine you’ll be any more ‘Helpful’ in Cancelling the Item & making NO money? My Membership Cancellation may be NEXT? First I would like to introduce you to an employee Nicholas Randall he is 21 years old. He is a wonderful young man that is know throughout Northern and Eastern Maine for his ministry. He is an honest and very hard working individual. He graduated high school and while in high school discovered a love for baking. He then when on to culinary school with a love for cake decorated. This young man has made many wonderful strides in his life. After graduating from culinary school he was hired in the Walmart in Houlton, Maine he worked the night shift for two years and loved his job. He absolutely loved the store and decided to try and make a career of working for your company. He transferred to Sam’s Club in Bangor. He worked in many departments at your store. The members loved him and so did his co-workers. He excelled in every job he was asked to do. He volunteered for any jobs that needed to be done. He worked many hours sometimes going home to get a little sleep and then returning right back to help. He was choosen to help close stores etc. The Team Lead of the bakery became available he applied and was choosen for the job. The bakery was one of the worst clubs in your market. In the short time he was able to change this around by cutting the percentage in half when it came to the throws and donations. People came and asked for him personally to decorate their cakes! He was choosen by the mangers to go to Arkansas to represent the store. The have always been told to get a drink at the fountain and it was also used as an incentive for helping out and doing something for a manager. They would say go get a drink from the fountain. He reported to work at 3AM to help with inventory. He went to the fountain and got a cup planning to pay later because nothing was open at that time. Coach Cameron hauled him into the office showed him a picture of him taking a cup of soda! Told him he did not pay for the drink and that they had doXXXXented other times he had done this. Nicky stated that he may have forgotten to pay 89 cents later on the day of inventory as he got busy and just forgot. He stated he would gladly pay for the drink double if they wanted to him for forgetting. Nicky stated that most of time when they told a group to go get a soda he did not want one right then and got it later. He had no warnings or nothing they would not even let him explain this. Other people got soda everyday without paying, the associate that worked at the self check out see them do this. In all of the four years he worked for your company he never received a warning or was coaching for anything. He had a completly clean record and had excelled in every department he worked. Coach Cameron told Nicky “Coorporate stated he was to fire him over a stupid cup of soda. He was devasted! His direct manager and other mangers and employees were really upset and stated it was not fair what they had done to him. Other people in the store were caught stealing parts in Automotive and they were moved to a different department. One associate sold beer to a minor and they were not fired. Nicky was fired over a soda something the managers used as incentive. Can you tell me that this is fair? If you would meet with this young man you would understand the he is a wonderful young man who would never knowly take anything and he always put your company first! I am from the Princeton. nj area. I have membership cards at all three BJ’s Costco and Sams club. But I always shop at Sam’s. The people were exceptional at the Club in Princeton Nj and the prices were so much better. Their cakes were super great. Why did they close that place down??. So many and I mean many people are so disappointed. The closest is Edison Nj and that place is not at all like Princeton, usually not crowded and has no help. Since they closed the place down I have been there three times only. and I always shopped once a week in Princeton. I see some of the people working at Edison that knew me from Princeton and they are also disappointed. Why take away a good place?? I had a membership and one day my wife that rarely ever wants to go to the club wanted to use my card to pick up a few things at your Riverview, Florida location. At he check out the cashier studied our card and informed my Mexican wife that the picture wasn’t her. She offered to show her license and told her the picture was of her husband and they had been informed that she could use it, our last name is the same. They refused her and she had to call me to come down and rescue our groceries. We stood there and watched dozens of people check out and nobody’s card was scrutinized like mine. Of course they were all white people. I let my membership expire and bought a two year COSTCO membership. They treat us just fine. I am compelled to submit this information to you because of experiencing very poor customer service and the inability to resolve an ongoing problem with your organization that I feel I have allowed a reasonable amount of time for a resolution and I seem to be getting the run around and empty promises from your staff members Nathan Kron and Roland. I purchased a power washer from my local Sam’s Club approximately 2 years ago. Prior to the end of the warranty I began to experience problems with the unit and after spending a month being passed between the local club and the warranty company I finally contacted your corporate office and spoke with Nathan and advised him of the multiple problems I was experiencing from the local club the warranty company regarding my Delco Gas Power Washer after speaking to Nathan he apologized for the inconvenience I had experienced and he advised me I would receive a new one and he worked very diligently to send me a new power washer. Unfortunately, I received a refurbished power washer that was shipped to me (I live in Illinois) the replacement REFURBISHED power washer had gasoline in it and was leaking oil the pull cord was locked inside the unit and the wheels were so badly bent that the unit would not roll. I was devastated to know that they would send me a product that was worse than the one I placed a claim on. I called and reported this to Nathan who once again assured me that he would resolve the matter. I waited and waited 2-4weeks later finally I recontacted Nathan and advised him that the person responsible for contacting me had not and that the problem had intensified and remained UNRESOLVED . Once again I was advised that this matter would be resolved finally I spoke with Roland the person /manager responsible for the resolution an arrangement and agreement was made that his Supervisor would travel to my home and pick up the REFURBISHED power washer and he would personally repair it (Not Replace It) and he would return it. I Expressed my dissatisfaction with the entire process and expressed how unprofessionally this matter had been handled. He apologize shook my hand and stated it would be resolved shortly so now here I am seven months later and still no power washer no resolution and constantly being passed back-and-forth between Nathan and Roland who claims they are still looking into it and I was also informed that the supervisor says he returned the item to me in October 2017. I advise both Nathan and Roland today April 10, 2018 that the supervisor never returned to my home with a new or replacement unit and he has never contacted me since the day he departed my home in September 2017. Roland stated “ Well his guy has no reason to lie”. Which was a very subtle implication that I am lying. Therefore, I requested that they provide me with a copy of my signature and records indicating proof of delivery, date of delivery, and time of delivery if delivery was by a courier services then the name of the services and proof of delivery or if delivery was by their employee then the same requirements for proof of delivery. Proof of an agreement date and time via email or phone records acknowledging contacting me and my availability to be home to receive the unit. The phone calls to both senior staff members requesting proof of delivery resulted in moments of silence and a simple I’ll get back to you later. I have never experienced so many negative interactions and a lack of professionalism from senior management staff in working towards a resolution on a product that I the consumer purchased and also purchased an extended warranty on that was valid but I cannot and have not received a resolution to this matter 7 months later it is so disheartening and devastating to be treated in this matter. Especially after being a Loyal Sam’s Club Shopper for years. On Nov. 15, 2017 I called and ask for a refund on my membership to downgrade to regular from a business membership. I was told the only thing that they could do was send me a refund check for $55.00. I have been waiting and calling and talking since then. I have talked to approx. 8-10 people on this same problem. I called this week and found out that the previous 7 people I had talked did not follow up and do their jobs to rectify my situation. Oh everyone is nice but once they have you off the phone they do nothing! I finally talked with a supervisor ( supposed to be) yesterday who told me that it would take 6-9 weeks to cut me a check that I have been trying to get since Nov.!! He said all that he could do was send me an e-gift card and I was supposed to have that by 6 yesterday which as of this morning I didn’t receive after an hour on the phone with (Adonis). I called this morning and stayed on the phone another 30 min. and had to tell the story for about the 30th time. They told me I would receive it this afternoon which I did FINALLY on March 21, 2018 after requesting on November 15, 2017! They were so worried about me receiving a check on top of the gift card, well as far as I am concerned they owe me some kind of compensation for all of the trouble but of course I was not offered any of that and now I have no choice bu to spend the money in one of their stores. I will probably cancel my membership and my Sam’s credit card after that. I can’t totally understand why some of their stores are closing!! I phoned customer service yesterday asking to speak to a supervisor and the lady told me that I couldn’t speak to one. Why is this? At the end of the conversation, I asked her for her name and she hung up on me. Is this the normal Sam’s Club customer service? I was calling because a person on my membership ordered a trampoline on Black Friday for their children’s Christmas present. They received the boxes and stored them waiting for Christmas. When they got it out to set up, it was found that they had two boxes of box 1 of 2 and no box 2 of 2 so they have half a trampoline. They have been contacting Sam’s customer service for over a month without any resolution. The item they ordered is not in stock any longer but it is beyond us why they can not be provided with another trampoline since Sam’s has them in stock. In the meantime, these children have been without their present for almost six weeks and Sam’s is dragging their feet. The only resolution they offer is to give a refund but the purchaser would be unable to buy another trampoline for the refund price and they are financially unable to pay any more. There is a case number of this situation and the lady told me yesterday that someone was working on it but again, I was not allowed to talk with this person. Why is it taking so long to work out something so simple as this? Seems like Sam’s has a bad reputation with their customer service. We have been a member of Sams Club now for 25 years. Went into the Vero Beach Fl Sams Club, and looking over the meat dept. we were very disgusted on the way the meats looked, since your restoration, the meat dept. has not been up to par, like it seemed to be before the restoration, We have been in several times . Has something changed?? We will not be buying our meats anymore at Sams Club. Fresh Markets will get our business. Their cuts of meats looks like yours used to look. Ordered for the first time an online item for delivery. Got a Sams Club Gift Card for $10. Instructions say to print out -good at any Sams Club or Walmart. Printed out as instructed and got a good copy. I am very upset because I placed a sizable order on 11-03-2017 online and only received a partially completed one so far. My original order #973944217 which included the still missing fabric softener. I called 1-800-746-7726 on 11-15-2017 regarding status of missing item to be informed that is showed delivered; I asked where it was delivered since I still have not received and waited two days for not packages to come. Advised of a delivery to Georgia and customer service personnel was very apologinic for the error and would be sending me an eGiftcard and replacement of purchased item for my inconvenience. On 11-19-17, I called again since did not get gift card or softener yet. Confirmed my email, home, order and tracking information yet again including speaking with a supervisor (male, didn’t write down name) who advised me that he would call me directly to ensure I received the gift card; got neither a call, gift card or missing softener to date. Today I called (11-24-17) again, speaking with Rachel who tried to find the cause of missing items-verified email (lindaT0915@ gmail.com), home/shipping address and contact numbers. I explained the nature of my issue and after several back/forth conversations I asked to speak with a supervisor-was placed on hold, then told unable to locate any at this time (may be in a meeting). Told her I would wait since I was not satisfied and wanted to speak with any available supervisor; subsequently I was placed on hold again-then Andrea (supervisor) was on the line. I re-explained my problem only to feel like I was being called a liar indirectly. She stated “we are not going to keep sending out gift cards you say you haven’t received” in an challenging tone-my daughter was here for whole conversation on speaker-I maintained my composure although it was tough because I felt called out for lying and already frustrated even more when Andrea stated that the ecard was issued for $15 on 11-15-17. I expressed surprise and confusion since I was not informed of this when I called on 11-19-17. I then wanted to understand why the tracking number was not working (1Z5R74F90301049968) having tried it while on line with Rachel and Andrea. I also asked Andrea for the corporate office email/phone number to which she replied she doesn’t have but you can look up on google, saying it’s in Arkansas, Bensonville. I called Sam’s Club in Glendora CA this morning and spoke with the manager named Maria. I explained to her that I live in NC and my card was used at her store last night in the amount of $500.70. I needed to know if this transaction took please in her store or online. Maria informed me she could not give me any information and I needed to call the police. I explained to her again this was MY acct and I was not asking her to tell me who used my card number I’m asking if the transaction was made in the store or online. She again told me she could not give me any information. Please explain to me how a customer with a membership is able to use someone else’s card with your company? Not only that, I get no answers when I call! I’m glad I have not purchased a membership with you because I was going to. This experience has shown me, you are not a company I want to support! I will be sure to spread the word. Item # 726262, Model # GAWB08HWEG on September 23. I also ordered and received numerous other Gladiator items to redo my garage. The Sam’s Club invoice that had the Table never came after numerous conversations with Sam’s Club on-line people. That invoice had two cabinet’s and the table. When the Delivery Co. delivered the cabinets, I was expecting the table too, however it was not included on the delivers invoice. After calling Sam’s Club again after the cabinets were delivered, they said they would refund my first order on that invoice, and send and charge me for a new table. Around this time, I spoke to the vendor and they did not know the problem Sam’s Club was having as they had the tables in stock. The Sam’s Club on-line department ordered and charged me for a new table and said it would be delivered today or tomorrow. In the interim I still have not received the refund for the first table. Also, the last time they charged me for the second table they included $75.00 for shipping, and it should have been free shipping. I called again today and was told that the table is not available. I have waited over 40 minutes at least twice to speak to a manager and one time I was disconnected and second time, which was today I hung up. I left my number one time for a manger to call me and that has not happened either. I have spoken to at least 5 or 6 on-line people. I cannot finish my garage without the table. I have put workmen on hold for two weeks at least waiting for the table to be delivered. I am giving someone a chance to rectify this mess. I want my money back…. over $1000.00, and a table. I am also sending this letter to the corporate offices. I am very disappointed in Sam’s Clubs On-line service. Please contact me ASAP with a positive resolution. Recently you requested personal assistance from our on-line support center. Below is a summary of your request and our response. Thank you for allowing us to be of service to you. Thank you for contacting Sam’s Club. Unfortunately, all Sam’s Clubs and samsclub.com pricing and promotions are not the same. Also we do not price match against two different Clubs or between a Club and samsclub.com. Please accept our apologies for any confusion. Why is the price for Seagram’s VO sooooo much higher, at $23.95 per 1.75 liter, at the Bullhead, AZ Sam’s City store? It sells for $18.95 at your Reno, NV Sam’s Club store and even your competitor, Costco, sells it for $18.49. There isn’t $5.00 additional liquor taxes for Arizona residences’ that I’m aware of. I’m truly happy that Sam’s Club is now offering Seagram’s VO, but the price discrepancy is really of my concern. This is my first time mail ordering from Sams Club and my last time…I always record my conversations and the customer service representative was RUDE, don’t listen at all and she flat out lied to me about my order, when I disagreed she raised her voice yelling…then told me to hold on she will get her manager.. Then this supervisor got on and when I informed him about the representative he said nothing and said what can I help you with…ITS A JOKE.Sam’s club talk about customer satisfaction…how can a company have a concern about customer satisfaction when you read so many complaints and see such a POOR RATING…make you wonder about upper management or the owners…I’m a very disappointed customer…I have never received this kind of service from COSTCO. I completely agree. This is my first experience with Sams club. I have been a COSTCO member for years and will never buy from Sam’s club again. I ordered a Christmas tree on 11/20 with expected delivery 11/24-11/27. Every day, the date of delivery changes! The tree has gone from NJ to PA to MD and today is in VA. I live in Texas!!! I am having a Christmas party on the 15th and need my tree! I called customer service and got 0% help. DOes anyone have a corporate address for Mr. Jamie Iannone? I have been kind to everyone on the phone and patient until the last few calls when it has become evident that Sam’s Club could care less about me or my business. We spend around $20,000 a year at Costco and they would never treat their customers this way. In addition, no customer service employee will give me a phone number to speak with a regional manager or executive at Sam’s Club, nor even give me an address to send a certified letter. What a shady business! I am having the same experience and have been calling since last week about my refund and getting the run around. I have been told it has been escalated to the refund dept and would get call in 24 hours for the new card number to put it back on. No call. Call back and then was offered a GC, I don’t want a GC I want it back in the account that I used to pay for it. Now at this point I want a full refund and am calling and/or writing corporate. I am a new member and this is the first and last time I will order from them. Writing to the BBB as well, this is very, very bad customer service. I am a newer employee of Sams in Colorado. I’m having trouble contacting the Corporate Office email so I will leave my complaint here for everyone to see. I thought Sams would be a good place to work, leaving a management job of 4 years to a “better” place. Now I am sad to say I hate my job at Sams. I have talked to all of the managers and to the MSS’s and no one cares and no one wants to help or says they are and completely ignore the situations. In my department I get no help from others whatsoever. I get yelled at and told rude comments by the MSS’s when I need something or need to take a lunch or break,to them we are an inconvenience for them. There are 4 employees in my area, wich 2 I rarely even see, or they put them on the floor instead of helping out in our department. I have asked many times for help and every time they tell us that we are over in hours..when only 2 of us work up to 40 hours. One of our members purchases would pay for our check for a month..so that I don’t believe. We are stressed out everyday with members orders that have to be filled and the other items they need. Shopping for members was NOT discussed in the interview. If I knew I’d be a slave worker I would of never taken the job. We are continuously verbally abused by our members and told racial comments, and even have been hit with objects in my department. Nothing has ever been done in any of these situations. The managers will walk by intentionally or avoid our department because they know there is a problem and don’t want to confront us when we try to talk to them. Recently they have allowed members to add groceries to their orders, item that are supposed to be for their business, but are mostly personal use. About 90% of these members abuse this new added service. Before I was hired this was not a service that our store offered nor do any other stores in our neighboring cities. We have told the managers this causes problems and we need help, that its the responsibility of the pick and pull employee to do this service. The managers act stupid to the situations and think we are super employees and expect us to go shopping for members, fill their order, put away our products, help walk up people, and zone all of candy and hba in an 8 hour shift and get yelled at for needing a lunch or break. I know no one will care about what I wrote but I just wanted to say Sams Club is a horrible place to work for!!! Managers don’t care about anything but plus memberships, MSS’s don’t care about you needing to take state regulated breaks and lunches, members treat you like they own you because they pay to shop there, the HR manager always tells you she’s busy and go talk to a manager, people that work there are rude and stuck up if your not in their “click”. Think about this and all the other complaints before working there or becoming a member!!! I DON’T KNOW WHERE TO START.. I AM VERY FRUSTRATED AND KEEP GETTING THE RUN AROUND EACH TIME I CALL THE CUSTOMER SERVICE LINE. I HAVE BEEN A CUSTOMER FOR 19 YEARS. I HAVE CALLED SEVERAL TIMES BECAUSE MY CASH REWARDS HAVE BEEN TAKEN OUT OF MY ACCOUNT. MIND YOU THIS IS THE SECOND TIME IT HAS HAPPENED . LAST YEAR THEY TOLD ME IT WAS USED IN VIRGINIA AND THIS YEAR IT WAS USED IN MARYLAND ( I LIVE IN TEXAS). SAD THING IS IT HAPPENS RIGHT AS SOON AS THE REWARDS HITS MY CARD FOR ME TO REDEEM. NEEDLESS TO SAY LAST YEAR THE CLUB I SHOP AT REFUNDED ME THE CASH REWARDS TAKEN . THIS YEAR THEY WILL NOT AND ADVISED THAT I WOULD HAVE TO MAKE A CLAIM . I DID JUST THAT AND HAVE YET TO RECEIVE ANY KIND OF RESPONSE OR THE CASH REWARDS I WAS TOLD I WOULD RECEIVE. I FINALLY CALLED AND SPOKE TO KENDRICK , (THIS IS THE NICEST AND MOST HELPFUL PERSON I HAVE SPOKEN TO SINCE I HAVE BEEN CALLING) WE REVIEWED MY FILE AND NOTES. APPARENTLY THEY HAD THE WRONG EMAIL ADDRESS FOR ME AND HE STATED THAT MY TICKET HAD BEEN CLOSED. HE ASSURED ME HE WOULD UPDATE MY INFORMATION CORRECTLY AND REOPENED THE TICKET ADVISING THEM THAT THE EMAIL ADDRESS ON FILE WAS NOT CORRECT AND FOR THEM TO SEND THE SO CALLED EGIFT CARD TO THE UPDATED EMAIL. AND SAID THAT HE WOULD SEND TO THE CASH REWARDS DEPARTMENT AS A PRIORITY AND SOMEONE SHOULD BE CALLING ME SOON . ITS BEEN OVER A MONTH AND I HAVE YET TO HEAR FROM ANYONE. SINCE THEN I HAVE CALLED ABOUT 10 TIMES EACH TIME BEING PUT ON ETERNAL HOLD OR THEY WILL DISCONNECT THE CALL AND I HAVE TO START ALL OVER AGAIN. TODAY I CALLED AND FINALLY SPOKE TO SOMEONE AFTER HOLDING FOR 20 MINUTES. I GIVE THE LADY MY INFORMATION AND EXPLAINED I WAS CALLING TO FOLLOW UP ON AN OPEN CLAIM –SHE PUTS ME ON HOLD FOR ANOTHER 10 MINUTES THEN COMES BACK TO THE LINE AND TELLS ME TO HANG UP AND CALL BACK BECAUSE HER COMPUTER SHUT DOWN. I POLITELY TOLD HER NO AND ASKED HER TO TRANSFER ME TO A LIVE PERSON. I WAS THEN ON HOLD FOR ANOTHER 15 MINUTES. LAST PERSON WHO ANSWERED DID THE SAME THING , I REQUESTED SHE NOT HANG UP ON ME BUT TO LET ME SPEAK TO A SUPERVISOR WHO COULD HELP ME. –I WAS THEN PUT ON HOLD FOR 50 MINUTES ….THEN THE CALL SUDDENLY DROPPED … THEY HUNG UP ON ME AGAIN. THIS IS THE WORST CUSTOMER SERVICE I HAVE EVER DEALT WITH… I WILL MOST DEFINETLY CUT UP THIS CARD AND TAKE MY BUSINESS SOMEWHERE ELSE. THIS IS UNACCEPTABLE !! I do not know where to begin. I have been a Costco’s customer for over 20 years and I can tell you they provide excellent customer’s service. I am a new member of Sam’s club because I need it to purchase the Lombardi multi use TV console. I purchased a Lombardi console at Sam’s club.com on August 14th 2017. The item was promised to be delivered to my home between August 25th and August 30th. It is now September 5th and I still have not received the item. I will be leaving out of the country Friday, September 8th, and come back in a month. Had I known the estimated arrival time on the order was inaccurate, I would either wait until I come back to order the item, or order something else. I am not sure if the item will be delivered to me before Friday. I called Sam’s Club.com on many occasions and it appears they want me to call the Shipping company which is MXD group to find out the delivery date. Moreover, it appears the agents I spoke could not relay any information about MXD group (the shipping company), confirming the lack of leadership on the Upper Management part. There appears to be a missing nexus between Sam’s club.com and the Shipping Company. Additionally, the representatives at Sam’s club.com are very rude. They even hung up on me. Each person that I spoke with gave me a different and inaccurate information, which leads me to believe again they lack training. I do not blame them. I blame upper Management. I try to call Corporate and the phone number listed on the website directs me to Sam’s club. NEVER AGAIN, I will do business with Sam’s Club. I realize now why they are losing business. Everyone Costco is the way to go. I have been shaping and doing business at Costco for over 20 years and never had any difficulties, problems or concerns. Their customer’s service is amazing. I was told my delivery would be delivered between 11/30/17 – 12/04/17 its now 12/04 and I’m told by the delivery company Pilot that its not scheduled to be delivered for another 2-3 days. I will be out of town, sams online is a joke I will NEVER EVER order from samsclub online again my first and last time. I spoke with Jayla she was very nice about my situation knowing I have a large package out there and the inconvenience I’m experiencing with sams online, and the shipping company. i purchased an outdoor patio living furniture 07/11/17 from Samsclub.com. i had been told that I would receive it between July 22nd and Aug 2nd. It left New Jersey warehouse July 12th. I called Aug 4th and told that I will be receiving a call for Delivery in the next day. After no calls, on Aug 8th, I called back and told that it is waiting to be picked up my home delivery service. On Aug 11th, i receive a call from the delivery service stating they are in Summerville, SC and will not be out till Aug 22nd. On Aug 22nd when items were delivered, only 2 of 4 pieces were delivered. I contacted customer service and was given the runaround. I was told that it was marked Code Red and supervisor is working on it. I was told that I would be called by supervisor by the end of day to be informed on status – after 2 days still not call. I called back and told – I would be called – NO CALL! By this time its been well over 7 weeks since I ordered, I decided I was done and requested a refund. I was initially told that I can’t get money refunded until they receive the furniture. The home delivery service said they didn’t receive everything from the freight company XP and XP says they do and I am the one punished and told they can’t give me refund until they get it. On Aug 24th, I was told that a request for pick was made and I will be contacted for pick up. A week later today, I haven’t heard from anyone about picking up and I haven’t received a credit on my bank card. I continue to be the victim of this and I feel that I am being punished with being out furniture that I ordered in July. Its going to be Sept 1st tomorrow – Nothing has been resolved and I am still paying interest on a product I don’t have, as well as nobody has answers, except “I’m sorry – I will have to research it and call you back. I have even asked if I could purchase the one piece I have since its a Season Item and no longer in stock anywhere. I was told that this can’t be done and can’t get money credited until Samsclub.com has the furniture. I have lost faith in the Sam’s Club brand and will have to think twice before buying or recommending. I would appreciate some answers and to stop being punished because Sam’s or delivery has messed up. I too am having extreme difficulty getting an issue resolved. I have spent hours on the phone and am getting such a runaround. I received an email that my shipping dispute cha gemdispute was denied. It stated I had hours to respond or they assume I am satisfied with their decision. No direct contact information was provided for me to email or call “Alexia”. The day a patio set was being delivered their were multiple issues that caused me to refused delivery on the set. Before doing so, I first called Sams Club and was assured that I would not be held responsible for the deliver charges. It took over three weeks to get a refund issued to our charge account and then it did not include th $191.20 shipping fee. I was just given a phone number for “Alexia” that turned out to be a store in Arkansas! This has been absolutely annoying to deal with the on looking ne people. In store has never been a problem. Your dicsion to no longer. Support the US MILITARY big mistake how un American can you be! Go along your crappy customer service. No more CACHING. CACHING FROM ME OR MY FAMILY OR MY FELLOW VET FRIENDS. Same club in Gladstone mo is a joke employees are very rude when you ask for help one employe named S Vick was so rude to me and other customers I wonder how she still has a job. I can see after that experience why people are switching over to Costco. Someone from corporations need to do a overall on the employees at this club. I’m starting to believe that everyone there lied on there applications for the job. I call customer service again, sit on hold for 34 minutes this time I get Tyra she says as in The a Banks…after going back and forth with no answers for 10 minutes she puts me on hold and hangs up on me. I’m apaulled at this entire experience. Disgusted because I’ve wasted over an hour of my time on hold to be hung up on twice. Retrain some qualified employees you should be embarrassed of how these people represent your company. Time to find a new place to spend my money. Wow, couldn’t believe the number of complaints. You guys have to up your game as well as upgrade your HR departments. Well, this is another complaint, unfortunately. I ordered a memory foam bed from Samsclub.com on July 25. When I placed the order the online receipt said: “delivery July 27.” Great. The bed was going to our summer home 250 miles from our home, and there would be a couple of young family members there to carry it up the stairs. (I’m an old broad with an older husband) Well, July 27 came and went, as did most of July 28. So, I called the 888 number. I got a nice woman who explained it would probably arrive on the 29th, and she gave me the phone number and purchase order of the company that made and was shipping the bed. Come the 29th. No delivery, so I called the number. It was incorrect. So, I called the 888 number again. This time I got a woman who was somewhat less than nice. “She shouldn’t have given you that number,” she said rather nastily, “and I can’t tell you when anything will be delivered. Probably tomorrow.” Well, tommorrow came and went, and I called again. This time I got a very nice rep who traced the bed through the manufacturer to FedEX. I explain that the bed has to get to the summer home by Aug. 4 or there would be no one there until the 7th to accept delivery. Meanwhile, I check tracking and see that it says delivery on Aug.1. Say What? So, today, August 2, I see that estimated delivery is August 4 and if no one is home, I can arrange to pick it up (all 75 pounds) at the nearest FedEx site–40 miles away. So, I called my son from NC who is staying at our summer home until the 4th. He told me the frame had been delivered yesterday. Hence the initial delivery date. In short, that sucker better be on my porch on Aug. 4 or I’m going to join the ranks of the angry folks above. I am not making any threats about giving up my Sam’s membership. ( I also am a Costco member, by the way, and never seem to have a problem with them.) Stuff happens, BUT HERE’S THE BOTTOM LINE: DON’T PUT A DELIVERY DATE THAT CAN’T BE MET ON THE ORDER WHEN WE MAKE IT. YOU’RE SETTING YOURSELF UP FOR ANGRY CUSTOMERS. AND THE PROBLEM IS WALMART CORP SYSTEMIC. THE SAME THING HAPPENED A MONTH AGO WHEN I ORDERED A KAYAK FROM WALMART.COM. DELIVERY PROMISED ON JUNE 15. SON STAYS HOME ONE DAY OF HIS VACATION TO PICK IT UP. NO SHOW. JUST DON’T PROMISE WHAT YOU CAN’T DELIVER. Defective product purchased from Samsclub.com picked up and refund never issued – been several weeks and the cost of the item was over $1,000. Over 15 calls and no follow up? Beyond irritated and disappointed in poor level of customer service. We have been Sam Club members for over 20 yrs., we have had the Sam’s Plus credit card since 2006. Our card expired 5/17 and we have been trying for the last two months to get our new cards through Synchrony Bank, I have called 2-3 times a month trying to get our new cards, each time I was assured that the cards were being sent. On July 10, 2017 I talked to a person who confirmed that the cards were sent to an old address that we haven’t lived at in 21/2 yrs. He reassured me that the information was correct and confirmed back to me the address to which our cards were going to be sent by FedEx. He advised to call back within 48 hours to get the FedEx tracking #, just to find out that the new cards were once again sent to the same old address. Is this how Sam’s Club values their loyal customers? If so we are telling you we no longer wish to be associated with Sam’s Club. The hours I have spent on the phone and the incompetent people that handle these issues for you should be fired for such subpar customer service. I’m in Dubois, PA 15801. The closest club is 75 miles away. K-mart recently closed here. There’s a big building they were in. Perhaps you could consider locating here. A lot of residents just won’t drive the long distance to shop. Your competitor, BJ’s, is almost 3 hours from here. I am a business owner and usually shop Sam’s at least twice a week and have for a number of years. On Friday, June 30, 2017, I was shopping at your Duluth, Ga., location (Phone number 770-497-1165) and attempted to utilize the under-shelter loading zone because of heavy rain. The under-shelter loading zone was filled up with cars with no drivers, indicating people left their vehicles to go into the store to shop. I went inside the store to ask why cars were allowed to be vacated and parked there and was told the Sam’s management at that location could “Do Nothing About It”, with no other explanation. I am almost 70 years old and having a loading facility in inclement weather is of great concern. I have relied on Sam’s products to help support my store. My complaint obviously will fall on deaf ears, but such inattentive and uncaring attitude as displayed by your employees at this Sam’s location should be addressed and the welfare and support for your customers needs to be addressed. At least at Costco this type situation would be immediately addressed. I bought two bar stools at Sams and wanted 4. The clerk told me to go online and order two more. They were out of stock in Fresno so the next closest store was in Bakersfield and they had the two I needed. Bakersfield is 2 1/2 hours away so asked if they could deliver them to my house or to the Fresno store. They said no. I had family coming thru that afternoon from LA and said they would be happy to pick them up for me. So I called Bakersfield and told them I have someone to pick up the chairs and they said they let the forklift driver off early and there was no one to get them down. So I lost my chance to get the two chairs I needed. I have tried so many numbers to talk to someone…they all say different things and don’t know what they are talking about. They sure don’t work together to please the customer. Now I’m trying to get ahold of the cooperate office and have been on hold for 35 minutes. I think I will take the bar stools back and go to Costco. What a shame! I have always liked Sams but reading these other comments makes me think I’m no the only one!! Wake up Sams…you are losing customers!! I have a Sam’s club mastercard that has large credit line (at least to me). I back in March payed for a vacation with this card. I payed this card off last year so the card had a zero balance on it. I received the bill today in the mail and noticed that my interest rate was a 23.65%! I called Synchrony Bank ( I know they ARE NOT Sam’s Club) but THEY are the ISSUER of the Sam’s Club card. I spoke to a nice rep “Anthony” there and explained to him that the rates are WAY TOO HIGH. He nicely told me that there was nothing he could do. I told him my Discover card (I have this one because I use to use it at Sam’s Club before they changed) rates are much lower. He said that the system will “at times” go and lower APRs for certain card holders. I asked if there was ANYONE there who could do something about this rate and was told simply no. My credit score is good so I don’t understand why my rate is so high. This makes me NOT want to use this card. Quickly pay it off. And warn as many people how expensive it is to use this. card. I am a customer who shops at Sams club every other day. I spend more then 900$ each time perchasing items. Usually I order using my own Sams club card but Last week, I ordered items using my bosses Sams club card. I was at customer service waiting in line, the lady was ready to help me. When I told her that I used my bosses Sams club card to order items, she told me to go to the kiosk and scan my card. I explained to her multiple times that I didn’t use my card so the items don’t show up. Although I explained this twice, she said to me in a very rude way, “go and scan your card, then come back here and wait in the back of the line.” I then went over to the kiosk and scanned my card. Sure enough it didn’t work. I went back into the line and talked to the manager Jim. I wanted to know the woman’s name who refused to help me earlier. I asked him for the womans name but when I asked him, he said why. I explained to him the situation and he told me he didn’t know her name. I said that I would email Sams but he said emails go straight to him. I would like Sams club to think about their customer service. I am a repeat customer and I spend lots of money 4x a week. I could choose Costco, who has great customer service, but I instead choose Sams for so many reasons! I would like it if Sams can take care their customers and treat us with respect. Thank you for your time and have a great day. Sirs, I desire to know why the Sams Club store in Las Cruces New Mexico no longer will let you check out Alcoholic items thru the self-check out lanes? All they tell you at the store level is that you can not do that anymore. Today I was just getting a couple of items and wanted to use the self-check out lane as it is nice and fast. All 4 of them were open. There were only 3 regular lanes open with lots of purchases waiting in them. I wanted to get a bottle of wine and was told I could only get that in the regular check-out line not the self-check out as in the past. So instead of getting in and out of the store fast, I had to wait a good time just to get my couple of items as well as a bottle of wine. What is the reason for not allowing the as in this case wine to go thru. I know that the person watching the self-check lines had to key in a code for you to make the wine purchase, but they are not allowed to do that anymore. I would like to know the reason for this change. It may help me in my decision too or not too continue to purchase at Sams Club. I hope I will get an answer to my question. I am a customer at the Eastwood Town Center East Lansing,MI. I also work for CrossMark inside the store. I was employed for 4 years when I received a confidential survey asking me questions about the service ect.. I have worked for Sam’s club as well. I hired into CrossMark and Sam’s Club at the same time. My brother had heart surgery out of town I called everyday and my brother passed away. Two weeks later my Greatgrand Daughter was born with a bad heart. Once again out of town I called everyday letting them know when I would be back .I called to get my schedule and I was told I no longer had a job because no call no show. I did follow up and found out that the person I talked to was fired and did not tell them I called. Now I also work inside the store for CrossMark Team Lead Serving and training people and merchandising. I have friends and family that shop at this store. I am very well liked there except for the Store Mgr.Jodi. Because I voiced my opinion on a survey and told what everyone wants to say but don’t. I’am now Ban from the store. Jodi went to my boss and wanted me FIRED which my boss said no but she also told her I can not shop in that store which is close to my home. Now I am working on the other side of town at the other Sam’s Club. I have my company CrossMark fighting for me but it’s been 2 months with no answer from Sam’s Club. If Sam’s club was to check on my seafood sales and my customer satisfaction they would want me back at this store. We do have a Costco coming in Oct.2017 and will cut Sam’s sales down. The store Manager Jodi came from McDonalds and is the store mgr.whats wrong with this picture. She’s fire Happy and has Fired some of the best workers she’ll ever have. She over worked a employee after he came back fro heart surgery she had him sawing pallets and lifting things the next day he died and he was a young man. Jodi does not have the right to say who can shop in this store and I am a Very Hard worker and deserve my job back inside Sam’s Club Eastwood store for CrossMark.. I hope to hear from Sam’s club about this. If not I will put this on Facebook ect.. I also have a Lawyer waiting for me to have him investigate this. All of CrossMarks employees want me back Also all of the employees that work at Sam’s want me back except Jodi and Elizabeth. 818645XXXXX I need someone from the corporate office some manager who could do something and could help me because I’m a customer and I have seven liquor stores who I buy my cigarette and a grocery from you guys only I don’t even have Costco card for the last 10 years and I only buy my stuff from you guys so So I’m dependent on you guys only and now all my seven liquor stores don’t have cigarette because The Sam’s Club I go to in Santa Clarita sold all the cigarette for to their customers or they’re not even their customers and customers like me who is loyal for the last 11 years goes nowhere except Sam’s Club get no cigarette and my shelves are empty and I’m losing customers I’m not trying to stock Sigaret. like other stores owners I’m just trying to buy for one week I buy from week to week I go there every Tuesday I spent over $50,000 every week and I am very good customer know my shelves are empty I need someone big could help me get some cigarettes in the next couple days to fill up my shelves please contact me on my cell phone 818-645-XXXXX I need to know if anyone going to help me getting Sigaret. in the next couple days for my stores or maybe you guys could send Special order you could contact your manager’s and Sam’s Club /Santa Clareta. I was hired at Sam’s Club #4738, Eagan Minnesota, and then was terminated after one week of employment because I had recently got married and not had time to go and change my Social Security Card. I do have all justified doXXXXentation to prove who I am but was told by the Manager (Jackie) that this was not good enough. I showed her that I did indeed mail my information to Social Security Office so I can receive a current card with my married name on it but she still said it was not good enough. I happen to be a 22 year Veteran (recently retired) for our country, and now I an not eligible to work at a Sam’s Club?? This is so politically wrong for Sam’s Club to treat a US Veteran this way. Then I called her to find out about my paid wages for the week and she responded by saying she would mail my first pay check to me and the second one would be deposited in my account, well that still has not happened. It should not take over a week to receive mail from a city next door to yours, this so wrong!!! So my next legal step is, I am planning on contacting the Wages and Labor Department to complain about not getting paid for my labor by Sam’s Club. By law in the state of Minnesota you are suppose to receive your paid wages within 5 days. This is so sad that this company can treat you this way after all the introduction to employment how much they care about their employees..really??? On my day off, Went to Sam’s Optical in Denham Springs, LA for glasses for my son, husband and I. Was told that our prescriptions were expired so we had to make appts. to see the Optometrist, which we did. After shopping in Sam’s, we went home to put our items up and returned to Sam’s Optical for our scheduled appts. for 1:00pm, 1:30pm, and 2:30pm. We waited for the Optometrist for 1 hour and he never even stuck his head out of the back. The staff was efficient and got us set-up but could not explain what was holding up the Optometrist. After the 1 hour wait, we cancelled all 3 appts. and started to the parking lot. As I got to my car, Sam’s Optical called to tell me the Optometrist finally came out and could see us …..No Thank You!!!! Our time is just as valuable as the Optometrist’s time!!!!! Sam’s Club Optical lost 3 customers today, Customers that were going to spend money on eye exams and $138 frames!! Shame on you Sam’s Club Optometrist! I received a gift from my Dad and Step-mom that was purchased at Sam’s Club. It was a fitbit and I found it to be uncomfortable. My step-mom taped the receipt (where she paid in cash) to the box in case I decided to take it back, which I did. I arrived at Sam’s and explained to the man at the front door that I was not a member so I wasn’t sure where to go to return my item. He pointed me in the right direction where I ended up waiting for 30 minutes. (I was the only person in line at that time). The woman at the service desk didn’t once look in my direction to see if anyone was standing in line waiting. When she finally called me over is when I really had an issue. I have never, ever in my life had such an ordeal to return an item. I understand if it were open or if I didn’t have the receipt, or if it looked used, but it wasn’t. When I first approached the counter the woman asked me for my Sam’s Membership card. I explained to her that I was not a member and that I received the item as an early Christmas present but wanted to return it. The receipt was taped to the box. She told me that she couldn’t return in because I wasn’t a member. Excuse me? Well, I used to be a member but certainly wouldn’t consider doing so again by feeling pressured into becoming a member just so I could return a Christmas gift. Ridiculous. I explained to her that it was a gift. My stepmom taped the receipt to the box so I could return it if I chose to. I live in Kentucky and she lives in Indiana. It would be too inconvenient for myself or her to drive to another state or meet up just to return the item. So the woman asked me for my Dad and Step mom’s name so she could look them up in the system. She found my Dad’s information and phone number. What really just blew my mind is that she CALLED my Dad and asked him if it was okay that I return my gift. That by far was the most EMBARRASSING moment thus far standing in Sam’s. I mean, what company does that?? I was already feeling bad as it was that my Stepmom took the time to buy me a nice gift just for me to return it. I knew at THAT moment when the woman behind the counter called my parents that I had just hurt my Stepmom’s feelings. She made me literally feel like the worst person in the world. After that she told me she then needed to have the return approved by the electronics department. So I stood in shame waiting for her to return which took a few minutes. She comes back at tells me that it had been approved. I was seriously fuming at this point but I am a very nice person so I bit my tongue. She again tried to scan the receipt and she told me that the computer wouldn’t let her return the item. So then she had to call a manager over and they discussed the situation for several minutes before she was able to override the system. She said this was also due to me not having a membership. That is why the computer wouldn’t accept the receipt. I told her at this time that my sister (also not a member) had tried her fitbit out and had considered returning hers as well. The woman proceeded to tell me that I needed to tell my sister (who also lives in Kentucky) that they were making an extreme exception for me and that if she tried to return hers that they wouldn’t do it. That she would have to bring my step-mom or Dad to the store to return hers. All I have to say is that I am LIVID over this entire situation. I just wanted to run in the store and return my fitbit that had the RECEIPT attached to the box and go on my way. I was in Sam’s for over an HOUR enduring nothing but embarrassment, ridicule and pressure to buy a membership. The cherry on top was making me feel like a five year old child when she called my Dad and asked if it was okay to return my fitbit. I will NEVER return to Sam’s Club, EVER. I have also NEVER in my life dealt with such unprofessionalism and rudeness. I have never had such an issue in my life returning an item. If I were at any other store, I would have been in and out in ten minutes without all of the hassle. I sincerely hope Sam’s Club will consider retraining employees in Customer Service to not treat non-members like outcasts. This was the worst experience I have ever had in a store, hands down. I had the same thing happen to me in Franklin, TN. They took it a step further and processed the refund onto MY bank account. I did not make the purchase, but the idiots refused to give me cash when I had the receipt for the gift. My husband is an employee and I am embarrassed to admit that. This place is the WORST place to work. I have already cut my membership card up. I am going to Costco where they give a darn about their customers AND employees. My husband can’t get out fast enough. On 8/15 I ordered a matress from Sam’s internet.On the same day I received a questioner ,which from all apearences was from Sam’s Club, on my Sam’s experience in exchange for free gifts. I accepted the offer for the free gifts because I trust Sam’s name. I used my credit card to pay for the postage of my free gifts. This month I received a surprise on my statement. There was a charge of $94.95 for a jar of face cream that I did not order. Someone is using the Sam’s good name for fraud and deceit. Want to make sure Sam's Club sees your comment or complaint?